We are celebrating Menstrual Hygiene Day because #menstruationmatters! Learn more about how menstrual hygiene affects education for girls around the world. Today is Menstrual Hygiene Day! Learn more about the issues surrounding menstrual hygiene and join the social media campaign today! Over the Moon’s First Delivery is Fully Funded! We are very excited to announce that as of today we have raised enough to fund the first delivery of pads to the girls! Thank you so much to all our donors, particularly those who came through to close the gap and allow us to meet this important fundraising benchmark. This officially makes our birthday fundraising launch campaign a success! In the meantime, the fundraising campaign will continue towards our greater goal of raising enough to cover another delivery of pads, so please support the project by making a contribution. The Over the Moon team will be shifting into logistics mode, so the blog may be quiet for a bit; but we hope to have news from the front lines of the first delivery before too long. Stay tuned! We recently heard about a high school boy in Florida who started his own campaign to take the shame out of menstruation at his school. We think this kid has the right idea! In some parts of the world, strong stigmas around periods have consequences for women and girls that are far worse than a little embarrassment. That’s exactly why Over the Moon’s mission is so important. It’s also why we joined WASH United’s partner network for Menstrual Hygiene Day. Here’s what Juliet had to say about her birthday on Facebook. Her beautiful words are worth re-posting any day of the year. Today is my birthday. It also happens to be mother’s day! I woke up this morning and asked myself what example I want to set for my girls, especially those whose lives have been interrupted by many challenges and whose futures seem uncertain. I have been privileged to give life. I have also been privileged to have many mothers shape me– like the women in the village who chased us from the mango tree to go school, the neighbor who ensured that I did not play rough and hurt myself, the mothers union who ensured I had a relationship with God, and my own mother who sacrificed everything to ensure that I got the best education that she could afford. I have received many blessings from you, my friends and family. I feel humbled and obliged to share these blessings. In Africa we say it takes a village to raise a child. Unfortunately these community values are dying out. Life has become a challenge, especially with the economic demands on every family. However, I believe that we all still have a role to play in different capacities. God blessed women with the capacity to give life… From puberty a girl’s fate begins to manifest, in Lango we call this “seeing the moon” neno dwe. While it is an exciting moment for some young girls as it symbolizes their womanhood, it is also the beginning of a major challenge for the majority, especially in the rural areas. Most girls are not prepared for what awaits them and are further confused by their peers who also know little about sexuality. Many girls drop out of school because they lack sanitary wear. Some are forced to use toilet paper and rugs and suffer severe burns. Consequently they find it more convenient to stay home. Surely this should not be happening in this modern day and times. 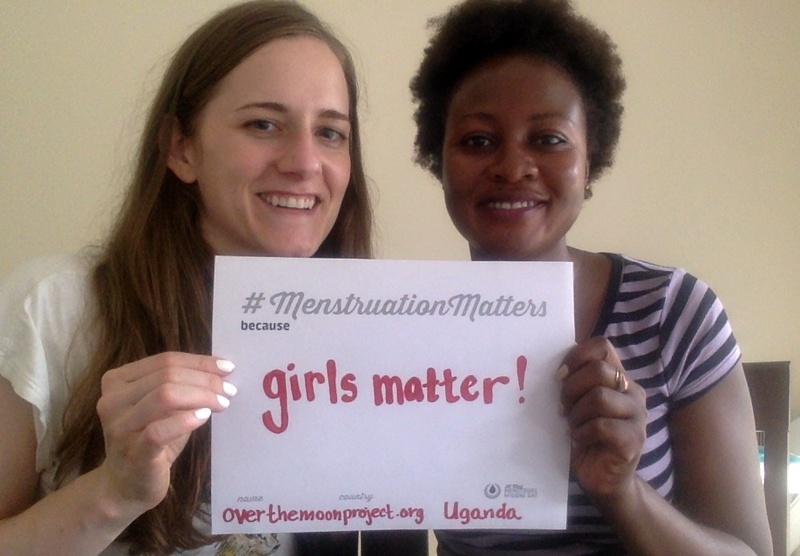 Together with my friend Gillian, with whom I share a birthday, we have started the Over the Moon Project to help eliminate menstrual absenteeism in primary school. I strongly believe that each of us has a purpose and a role to play in our different capacities. By donating to this cause you shall make my birthday! Many wonderful people answered Juliet’s call and helped make our birthday special. If you have not yet donated, we still need your help. Please fulfill your role in our collective mission to support the Akiya girls today! Thank You for Making Our Birthday So Happy! We’ve been blown away by all the birthday love we’ve received from donors to our launch campaign over the past few days! We are so grateful to all of you– our friends, family, and even supporters we’ve never met– for your incredible generosity. You all made our birthday so special. Thanks to you, we can help the Akiya girls stay in school, where they belong. Today we reached 50% of our overall fundraising goal! That’s a major milestone; but it also means we are so close to getting the first delivery underway. With just $600 more, we will have enough funding to make our first complete delivery of pads to the girls! Can you help us close the gap today? As I became friends with Juliet, we bonded over our shared commitment to the struggle against gender discrimination, oppression, and violence. 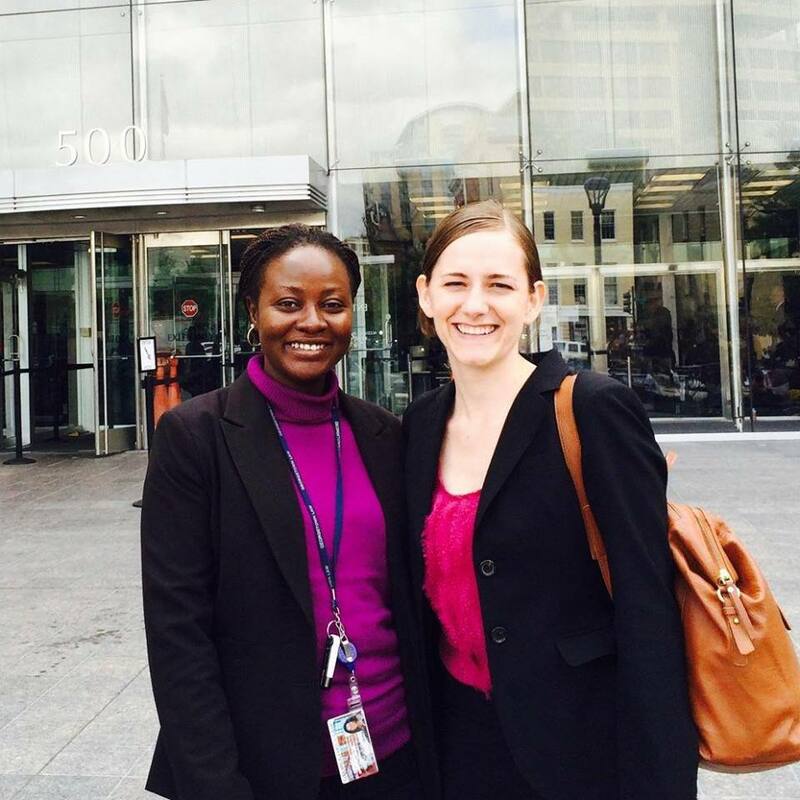 I told her about my work in the Domestic Violence Clinic; and we talked about case strategies and court procedures. She shared a bit about her background– how she was separated from her parents and raised by her grandmother in Lira during the Ugandan civil war. Juliet also began telling me about her efforts to keep girls in school back in her village. Juliet explained that she’d visited her primary school and noticed girls were dropping out at higher rates as they reached adolescence. Always logical in her approach, Juliet began to investigate. She discovered that one of the main challenges for the girls was a lack of reliable feminine hygiene products. Juliet told me how she’d gone about addressing the issue by providing pads herself. Although she hadn’t been able to keep up with the need, her dream was to provide enough pads to all the girls so that they could stay in school. When I learned all this, I knew I had to help. I saw an opportunity to leverage my skills and drive to create a project that could help make Juliet’s dream for the Akiya girls a reality. I began researching the issue and drafting a plan, which would become the Over the Moon Project. I believe social programs must be directly informed and driven by the communities they will affect. 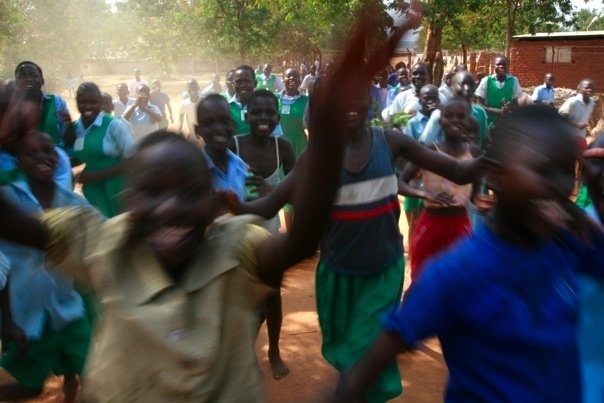 As such, Juliet and I developed this project in consultation with community and school leaders in Lira. Our local partner made a special visit to Akiya school and spoke directly to the girls about their needs. We identified a local Ugandan vendor with a social enterprise mission and a wealth of experience working on menstrual hygiene issues in Ugandan communities. Why did I get involved with this project? With all the challenges in our world, sometimes it’s hard to know what we can do to make a difference. That’s why this small concrete project is so exciting to me. We are going to put high-quality washable pads directly into the hands of girls who truly need them starting this summer. If we meet our fundraising goal, we will be able to provide 8 pads to each girl, giving them enough protection to allow them focus on their studies instead of worrying about having an accident and being embarrassed. I got involved in this project because I wanted to make a difference for the Akiya girls. You can make a difference too! Thank you to the African Society of Georgetown! Gearing Up for Another Delivery! Our First Delivery Was a Great Success, Thanks to Our Amazing Donors! Don't worry, we are still accepting belated birthday support!